In the battlefield of Kurukshetra, Lord Krishna expounded the wisdom of all the times to his great disciple Arjuna. Probably this was the first time when utility of Yoga for overall development of life was explained on a public platform. Lord Krishna says, “O Arjuna! Perform your actions by achieving the complete communion with the objective.” Unless you achieve the state of oneness with your objective, you can never achieve the desired result. 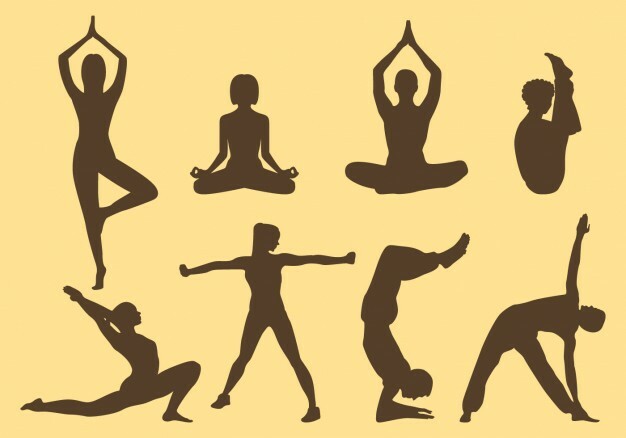 The word Yoga is a self-explanatory Sanskrit word derived from the root Yuj that means to unite. It also signifies addition of two subjects’ viz. 1+1 = 2. When two different numbers combine together they lose their own entity to become 2, which in turn is a transformation. Yoga is a way to control thy mind from its distractions – vritti. As per Ayurveda the gross human body is a balanced communion of Physical Body, Senses, Mind, and Soul. Mind is like a central processing unit of the physical and physiological body. And characters of mind are explained as atomic, and one. Because of its atomic nature it connects to various subjects in a split of a moment. And this very nature of the mind makes it highly instable thus resulting in constant attraction and distraction from its subject. It cannot remain focused on one subject for a long duration if not constantly trained otherwise. The great seer Patanjali knew this nature of mind that posed a major hindrance to the true wisdom of life leading to complete chaos. A practice was devised to attain the control of mind with a constant effort named as Yoga. To achieve the equality is Yoga. However, this particular definition of yoga by Lord Krishna can be read in various aspects. It is very versatile in its explanation. An effort by an individual to achieve equality to that of divine by its constant actions similar to the actions of divine can be done with the help of Yoga. It can be done by different ways viz. by following the path treaded by divine, by surrendering to the actions of divine, by constantly reciting the praise of divinity and so on. All the roads lead to communion with the divine or in other words, toting with the divine to be transformed is yoga in true words. To become divine by mind, actions, and speech is Yoga. The one who constantly engages himself with intellect and wisdom achieves detachment (salvation) in both the realms – physical and metaphysical. That is why one shall dedicate the self to the Yoga, because achieving perfection in the action is Yoga. Brilliance of the Yoga is explained in above definition and simplicity of yogic practice is explained without complexity of the process. To achieve the perfection in the current endeavour with constant efforts and focus is the true meaning of practicing yoga. Practicing Karma (action) to an extent that action and the individual become identical. There remains no difference between them and they achieve similarity or become synonymous to each other is true yoga. Yoga philosophy is adaptable and transforms itself with time, orientation and generations. Probably that is one reason why it is so popular till date since the time immemorial. However, due to the commercialisation yoga is broken down in many forms and marketed in different colours and packaging. The most popular form of yoga practiced today is Asana (postural practice). Practicing certain forms of postures is not yoga but a fragmentary part of it. It can help the one to achieve physical flexibility or strength but can never lead the one to the true meaning of the Yoga – a complete communion with the self. It is essential to comment here that it is not wrong to practice Yogic postures to achieve flexibility and strength because it is still effective but practicing fragmentary aspect of the science thinking that we are practicing Yoga is wrong. To achieve the homeostasis between Mind, body and soul with a constant effort to enhance the intellect, constant practice to achieve perfection in own actions and a complete devotion towards the objective is the true form yoga. Any other practice of yoga can be fragmentary, fractured part of yoga but can never be a complete science.